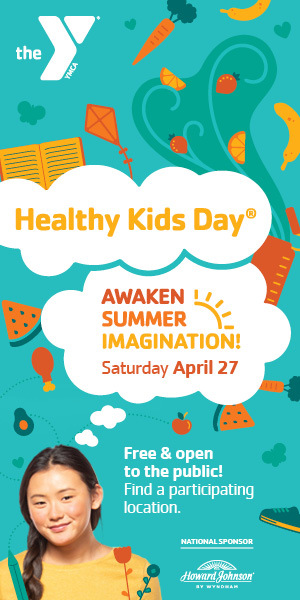 Our Healthy Kids Day event includes: An Obstacle Course, Inflatable, Basketball Free Throw, Archery and Camp Games. A Scavenger Hunt, Healthy Snacks, Fitness Fun, Touch-a-Truck, Gardening, Safety Around Water Demos and a lot more. High Five the Fruits and Veggies – Make sure kids get at least five servings a day, the minimum number nutritionists recommend to maintain healthy childhood development. And to keep kids’ taste buds evolving, have everyone in the family try at least one bite of a new fruit or vegetable at least once a month. Foster an Early and Ongoing Passion for Books – Read to and with your kids. Help children read at every age and every stage of their development. Team Up for Athletic Events – Set a family goal of great health by teaming up for community or charity events like races, walks, fun runs, bike rides, etc. Volunteer Together – Find a cause that matters to the kids. Open their eyes to a world beyond themselves and the rich rewards that come from making a difference. Want to workout as a family? Our Wellness Center includes state of the art Life Fitness cardiovascular and strength training equipment and a stretching area for flexibility and functional exercises. All Full Facility members receive a free Fit Training on how to use the equipment with a certified Personal Trainer. 10-13 year olds interested in learning how to workout will receive an orientation to the Wellness Center equipment and learn how to use appropriate equipment safely for their age. Once the youth completes the orientation they can workout in the Wellness Center when accompanied by a Y Member who is 18 years and older. Stop by the Welcome Center Desk to schedule your appointment. Families can enjoy Open Gym and Swim at the Fairfield Y. For a specific times, please refer to our schedules. 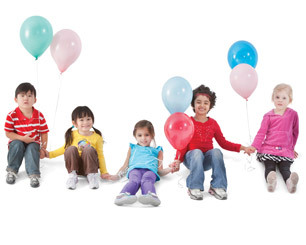 Our Party Coordinator will work with you to custom design the party. So many to choose from like Olympic style, Sports, and Arts and Crafts parties! We have three types of inflatables which are the moonbounce castle, obstacle course, and the joust! Rent for a Special Events like a baby shower, studio and gym rentals for practices, and other options! 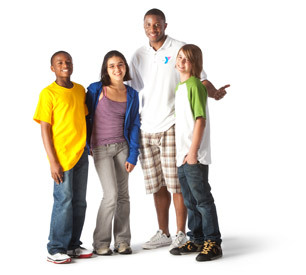 For more information, questions or to set up your next event contact the Fairfield YMCA at 203 255 2834.